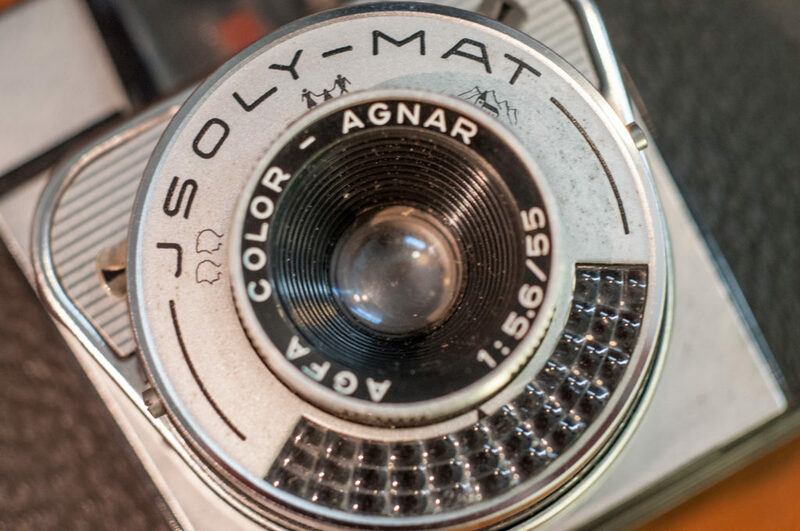 Dora Goodman is a creator of beautiful handcrafted and customised analogue film cameras. She’s always had an obsession with handmade objects, and cameras afford her many options to pursue that. She loves to design and build her own cameras from scratch. And for the last two years, Dora’s been working on an Open Source modular camera design that others can build for themselves. Designed to be made by anybody with access to a 3D printer, the Goodman One really is a work of art. It’s designed for shooting 120 format film, although it works a little more like a large format view camera than your typical medium format. There’s a ground glass back instead of a more traditional viewfinder for composing your shot. And the whole thing sits on a pair of 8mm diameter rods with an option to use bellows for focusing. But the option to use bellows for focusing opens up a whole lot more lens options. Although you may have to design your own custom mounting plate – and then hopefully release it to the community for others to use. 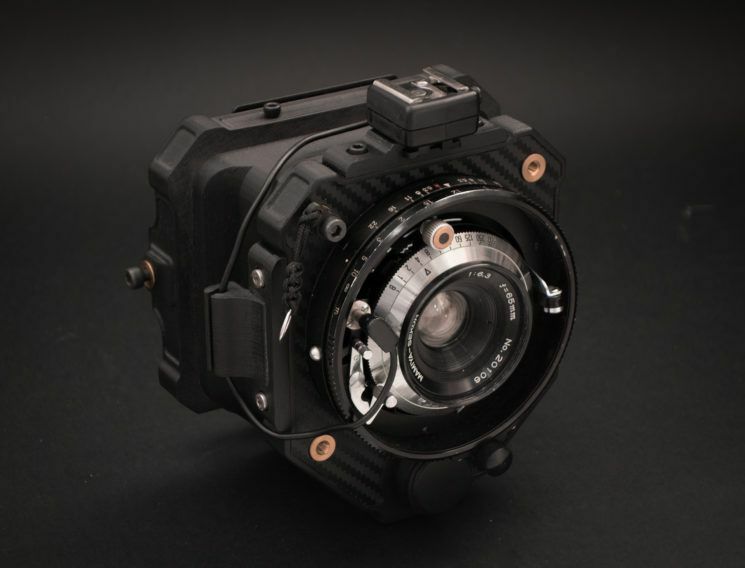 We’ve posted about 3D printed cameras before, but this one really looks amazing. There’s a whole lot of thought gone into this one to really make it look and feel like a real camera that you could actually take out and shoot with in front of a client. Of course, as with any 3D print, to get this kind of finish does take some effort. There is some sanding, a bit of wire brushing, and a lot of effort involved in the assembly. But I wouldn’t want it any other way. For me, that’s half the fun in building something like this. Putting in the kind of effort that something like this requires just makes the final result that much more rewarding. Dora provides all the necessary STL files, with printer settings, documentation and complete assembly instructions. To get hold of them, one needs to only request them through her website. So far, there are two versions of the camera which use either M3 or brass hardware. Also included are a roll film magazine as well as a ground glass holder. Designs to be released soon include an optical viewfinder, leaf shutter lens adapter, cold flash mount, shutter cable holder, sheet film holders, sheet film cutter, a camera strap mount with a few other things in the works for the future. And being an open source project, there’s nothing to stop you designing your own components to expand the Goodman One’s capabilities, and that’s what Dora hopes will happen. In fact, she challenges us to come up with our own ideas and plans for the Goodman One to share back to the community. Those other 3D printed cameras I posted about before are still very cool. They look a little more “rough and ready” than the Goodman One, but I do still have a few on my list to make for when I finally get around to assembling my new 3D printer. The Goodman One, though, has just made it to the top of that list.